In my opinion one of the greatest things in life is a simple, relaxing bubble bath. I try to take a bath once a week to de-stress and take some time for myself. I usually take a bath on Sunday nights and I have a little routine where I light a candle, put on a face mask and either read a book or watch some YouTube videos. Bath and Body Works mini candles are fantastic. Even though small in size, they give off so much scent. I like to put mine in candle holders so they tie in with the decor better. 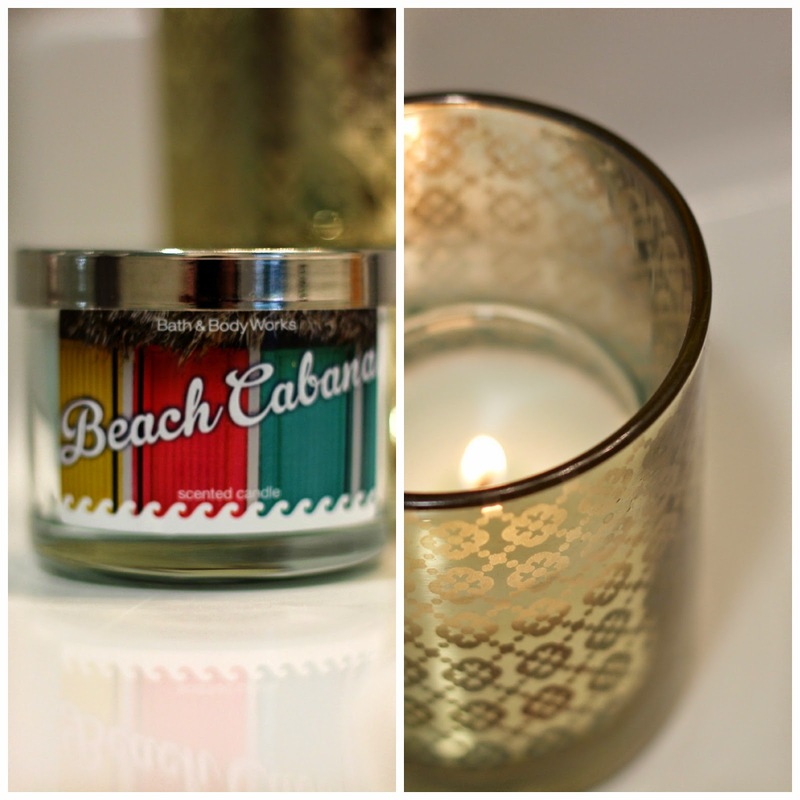 I just started using this mini in Beach Cabana and I can't wait to try more summer scents. I'm running out of this NIP + FAB bath soak at rapid speed. The bottle itself isn't very big and I definitely have a heavy hand when it comes to adding it to the bath. I bought this at TJ Maxx, and because this is a British brand, I'm not sure where I am going to get more when I run out!